Business owners today have more ways to collect payments from their consumers than ever. Although credit and debit cards are incredibly popular, the processing costs can add up fast. Sure, paper checks can be an option, but they too have their problems. Between long waiting periods and the trips to the bank, paper checks can quickly turn into a nightmare. What you need is a payment system that can combine the speed and convenience of a credit/debit card transaction and the security of a paper check. This is where Automated Clearing House (ACH) payments come into play. 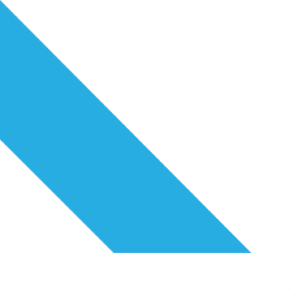 ACH is essentially a credit or a debit transaction that allows you, the business owner, to accept funds directly from the customer’s bank accounts. ACH also provides your clients an additional way to conduct transactions. And no one knows it better than a businessman that customers love options! Why should you use ACH? ACH payments offer many advantages over traditional paper checks or card transactions. Businesses that add ACH to their payment system often see a boost in sales. Here are some of the ways in which ACH can be a great asset to your business. One of the biggest advantages of an ACH payment is the cost. Processing an ACH payment costs only a fraction compared card payments or paper checks. Don’t take my word for it, even the Wall Street Journal says so. A lower processing cost translates to less overhead for business. This reason alone can be compelling enough to make a switch to ACH. Every business owner is aware of the agony of handling, processing and waiting for paper check transactions. Although ACH transactions are not as fast as, say, credit/debit cards, they offer a much quicker transaction compared to paper checks. Now, the time required for your ACH payment to reach your bank is highly dependent on the service provider. Here at Payment Savvy, we offer ACH processing times quicker than any of the processors out there. While it may take 4-5 days for ACH deposits with most of the providers, Payment Savvy can get it done the very next day! Yes, it is as simple as that. We have managed to take the ACH payments to the next level where the payment times are as close as they can get to card transaction. And all of this at a fraction of a cost! At Payment Savvy, we value the time of our customers and know the importance of a quick and guaranteed transaction. Our state-of-the-art risk management technologies ensure a fast and efficient transaction every single time. Security and safety are crucial in any financial transaction. 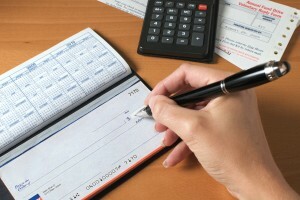 ACH payments eliminate some of the security problems of conventional paper checks. There is no need for you to worry about forged or bad checks. The software and innovative technologies that we use here at Payment Savvy ensure the safety of your business and that of your customers. We also offer an integrated tool that makes accepting ACH payments as simple as taking cash. Spending hours writing and cutting paper checks is counterproductive for your business. ACH eliminates all that and introduces a system that is fast, secure and quick. No more waiting in long lines in the banks and spending several precious hours. We at Payment Savvy believe that your time is better spent focused on your business. We remove all the hassle and fuss of your transactions just like that! One more advantage of ACH payments is the fact that the transactions are between two bank accounts. It means no more following up with customers for expired or declined cards. ACH payments truly shine in the subscription business model. If you accept securing payments from your customers, ACH can reduce the piling up of transaction costs. Businesses that offer monthly subscriptions save a lot of overhead by switching to ACH payments. If you have a subscription model and collect recurring payments from your customers, switching to ACH is the smart thing to do. As we just saw, accepting ACH payments make a lot of fiscal and business sense.  Although ACH payments are great, ensuring a safe and secure transaction can be a challenge for many business owners. Most businesses lack the infrastructure or the technical know-how to conduct ACH payments on their own. A financial agency can help you to get the process set up. Sounds easy alright, but does it matter what financial organization you choose? Well, it absolutely does! While there are many options to choose from, you have to be careful in choosing the right one. Safety, security, and speed are of paramount importance. Payment Savvy is one of the few companies that actually understands the plight of business owners. We know that time is of the essence and you people to get paid as quickly as possible. We offer high risk ach processing to all businesses including: collection agencies, utility industries, medical industries and telecom industries. It is no surprise that thousands of business owners trust Payment Savvy. We have an unparalleled service where your safety, security, and convenience takes the priority. Here are a few reasons why we are the best. When it comes to ACH payment processing times, Payment Savvy is miles ahead of the competition. While it can take up to 4-5 days for our competitors to process an ACH payment to your account, we provide next day funding! Our innovative technology allows us to process ACH payments the very next day. You will never have to wait for days for your funds to arrive. Availability of funds in such a quick time can make an enormous impact on your business. Many of our satisfied clients have seen a boost in their business after switching to ACH transfers with Payment Savvy. The safety and security of our clients are our priority. Our cutting-edge algorithms and software take the risk out of ACH payments. Even high-risk ACH processing is no problem for Payment Savvy. As soon as the customers enter their account details, our automated system screens the information against bad checks and other risk factors. The approval or denial is instantaneous and risk-free. Out high safety protocols make it even more secure to accept ACH payments. If you want to customize your ACH payments to streamline your business, Payment Savvy is here to help. Payment Savvy can cut the processing costs even further. We offer some of the lowest rates in the industry. If you switch to Payment Savvy, you can save a considerable amount of transaction fees and reduce the overhead costs. Contact us today to see how Payment Savvy can help you get the most out of ACH payments. We are here to help; you can talk to one of our dedicated, qualified ACH consultants to chalk out a plan that works best for you. We have years of experience in this industry that can help your business reach its maximum potential. Contact us today!